which will take effect on 31 March. The price of a first-class stamp will increase by 2p to 62p while a second-class stamp will go up 3p to 53p. At the same time a large letter first-class stamp up to 100g will rise by 3p to 93p and a large letter second-class stamp will increase by 4p to 73p. Despite the increases, Royal Mail insists that its franking prices continue to be amongst the best value for money in Europe. 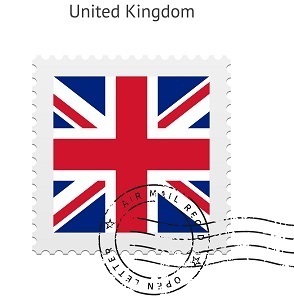 The average price across Germany, France, Spain and Italy for first-class letters is 67p and 60p for second class. Royal Mail added that its high quality, six-day-a-week universal service costs more than £7 billion a year to operate, and that under the current regulatory framework it could have increased second-class stamps by 7p, instead of the 3p it chose to. A spokesman for the Federation of Small Businesses' called the increase another unwelcome cost in doing business. While consumers may be dismayed at the latest increases in UK stamp prices, Royal Mail watchers say they are relieved that they were not as painful as those inflicted two years ago, when the cost of a first-class stamp jumped from 46p to 60p, leading to predictions the price of a first class stamp could reach as high as £1 before long. Franking machine providers in the UK were quick to highlight the fact that their franking machine customers will continue to benefit from significant savings despite the announced increase in UK stamp prices.